For Andy Markus, snowflakes are like pennies from heaven. “It is money falling from the sky,” Markus said. Now that the northwest suburbs are a winter wonderland, Markus is cashing in. Markus is in his fourth year with Plowz and Mowz, a company that uses an app to provide snow plowing to people when they want it. 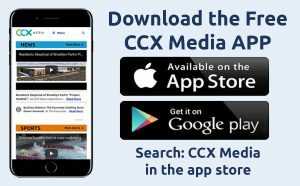 CCX News caught up with him at a job in Brooklyn Park. The recent round of snowstorms has kept Markus hopping. On Tuesday he began scraping residential driveways and businesses at 6 a.m. He expects to finish sometime Wednesday morning. The price range for Plowz and Mowz is $45 and up and their demographic is anyone – from senior citizens, to people with broken snow blowers, or snowbirds returning from the Bold North. “If you are in Florida and you want your driveway done before your plane lands at the Minneapolis airport we can handle that,” Markus said. Snow plowing is a side gig for Markus, who also runs a remodeling company based in Plymouth. But, when the flakes fly it can be lucrative. “If you’re plowing it’s a great way to increase your revenue every time it snows,” Markus said. The downside of this is that plowing takes a toll on his jet black Chevy Silverado. “We beat the living heck out of these things,” Markus said. Markus will go through two tanks of gas clearing snow from this recent storm and the wear and tear on his truck is unavoidable. Plowz and Mowz also does spring and fall stuff too, such as gutter removal and lawn care.